Map of the Baffin property courtesy of Commander Resources. In a news release, Vancouver-based Kivalliq said the land package, totalling 408,981 hectares, covers 160 kilometres of the Foxe Fold Belt on central Baffin Island. It includes 15 prospecting permits and a Mineral Exploration Agreement (MEA) with Nunavut Tunngavik Inc. (NTI), which manages Inuit responsibilities set out in the Nunavut Land Claims Agreement (NLCA). Kivalliq's stock bounded to a 52-week high of 11.5 cents a share on the news, before settling back a cent to 10.5 cents a share on Friday. The shares are up 23.5% year to date. Kivalliq says over $25 million has been spent on the mineralized gold system, including by past and present major mining companies BHP Billiton (NYSE:BHP), Falconbridge, Commander Resources and AngloGold Ashanti (NYSE:AU). However the belt is still relatively unexplored, with only 158 holes drilled to date. The best three intercepts were 21.3 grams per tonne over 4.2 metres, 10.2 g/t over 4.5m, and 9.2 g/t over 6m. The land package includes a mining camp, tidewater access and two airstrips. "With the acquisition of the Baffin Gold project in Nunavut Territory, we have strengthened our relationship with NTI and we now hold an entire district with proven gold potential," said Kivalliq Energy CEO Jim Paterson. "Our team will benefit greatly from the significant exploration expenditures from previous operators, which generated extremely high-grade gold numbers at exploration targets that also exhibited potential for significant size and scale." Under terms of the deal, Commander will receive $10,000 in cash plus half a million Kivalliq shares within a year. Another 500,000 KIV shares are due upon completion of a bankable feasibility study, along with a cash payment of $6 million upon commercial production. Commander also retain a 0.25% to 0.5% NSR royalty on the Baffin Gold Property optioned lands. 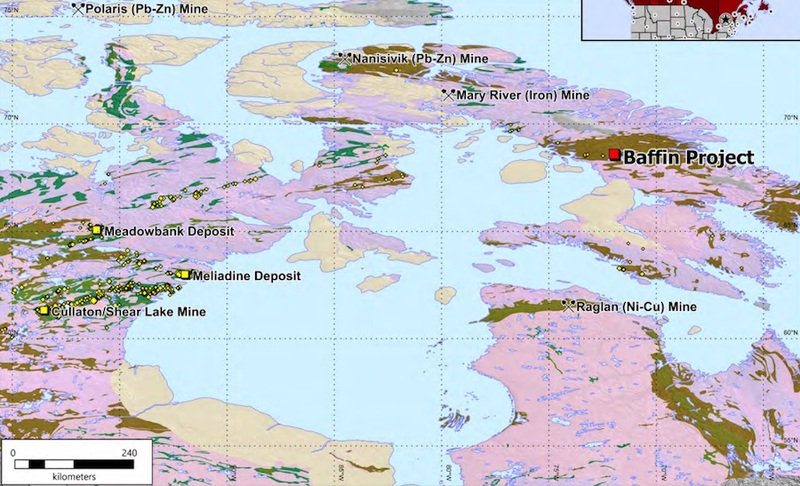 Nunatsiaq Online reports that NTI could be enriched by millions if the property turns into a mine, because it covers three parcels of Inuit-owned land for which NTI holds subsurface rights. That means Kivalliq Energy will gain the exclusive right to explore an Inuit-owned land package covering about 72,638 hectares.